Looking for your home waste and rubbish to be efficiently handled and disposed of? Well, Skips For Hire Birmingham are here to cover that for you. We will provide you with our domestic skip hire services immediately when you need us at affordable prices. We do not wish you to make a horrible decision regarding the appropriate skip for your domestic waste. That’s why we have the various options to ensure your waste is contained appropriately. And, we’ll give you the professional advice you need plus recommendations. So, what do you need the skip for in the first place? Let us look at some potential uses of a skip that some of our customers are using them for on a regular basis. How long has it been since you last did a proper clear out of your home? It is possible that you have been accumulating so much excess stuff in your house. Perhaps you had received gifts and other new things for your various anniversaries including birthdays and weddings etc. or you have just bought so much. Now it looks messy in there. Evidently, you need a clearance, and a thorough one, by the way. Maybe you want to undertake a refurbishment or renovation of your home. You will generate so much waste from the whole process. All this garbage needs to be properly disposed of and getting the right skip for them is the best thing you can do. We have got you well covered for all your house/home clearance and renovation needs. Your garden is as important to you just like your home. As time goes on, gardens inevitably begin to retain clutter, this could be in your shed, garage or maybe the garden itself. That aside, it is natural that your garden will need to be weeded, or dug for planting new flower beds/vegetables. You may also want to trim the hedges and shrubs in order to keep the garden well maintained, or you are having a complete make over and need to dig/remove everything to get the new garden you are after. at home. During the landscaping, it’s likely going to involve digging of large amounts of soil, tree stumps, debris, plant waste and stones etc. These need to be removed and disposed of properly. Hiring a skip will ultimately be the solution you need for this process. At Skips For Hire Birmingham, we perfectly understand your needs for residential waste disposal. That’s why we have the different sizes of skips for you to choose from. However, we will assist you to ensure you select the right skip for your needs. We do not want to provide you a skip that will no get the job done by either being too small for your project or just wastefully larger than the right size. Thus, you can be guaranteed of a skip of the perfect size that would satisfy you. Whether you want a small one, medium-sized or fairly large skip, you are in the right hands as we have all of them in stock! Check these. This being our ‘baby’ skip, it can carry between 30-40 bin bags of waste. Standard measurements are 1.80m x 1.22m x 0.96m. If you have a light bit of house clearance or garden clearance job, this will be right for you. Your kitchen and bathroom renovations are also well catered for by this mini-skip (for the average sized room!). The next one is a slightly larger mini skip with a capacity to hold 50-60 bags of waste. Its typical volume is 2.60m x 1.52m x 1.22m. Compared to the first, it gives you that extra space just in case you you have more waste to dispose of than the smallest we offer. 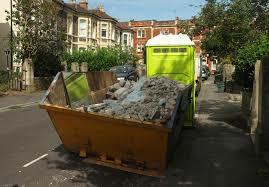 Note that this is one of the most popular skips we provide for homeowners across Birmingham. 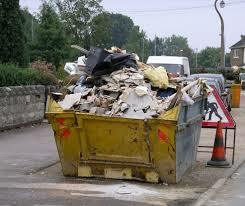 So if you think your waste is at moderate levels, why don’t you consider this well sized skip? The large skip hire comes with a larger space to hold as many as 60-80 bags. The volume is also considerably bigger at 3.2m x 1.75m x 1.22m. Maybe you have those bulky, extensive garden or landscape clearances – this would be the great match for your project. Having seen the essence of what we can provide, it’s now your opportunity to reach us so we can provide you will an accurate quote. Just call us and we will be there for you in no time. We promise you won’t regret choosing our services for domestic skip hire. If you are looking for larger skips for your commercial projects we have those in stock too!